The Undertaker made his debut in the WWF at the Survivor Series in 1990. At that point, Brother Love was managing the Dead Man. 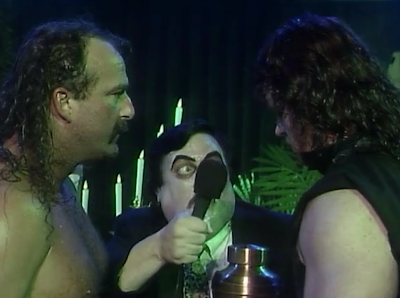 A couple months later the world met Undertaker's new manager Paul Bearer. The partnership made complete sense and happened ironically on the Brother Love Show. 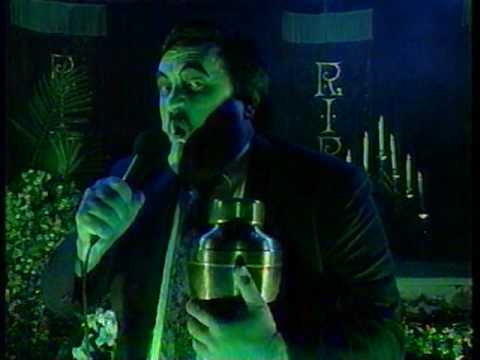 Not only did Paul Bearer replace Love as Undertaker's manager, but Bearer's Funeral Parlor segment soon replaced the Brother Love Show. The set for this segment was very elaborate. The casket, the eerie light and funeral music all added to the effect. Here are a few of my favorite moments from The Funeral Parlor. During the spring of 1991, the Ultimate Warrior paid a visit to the Funeral Parlor. 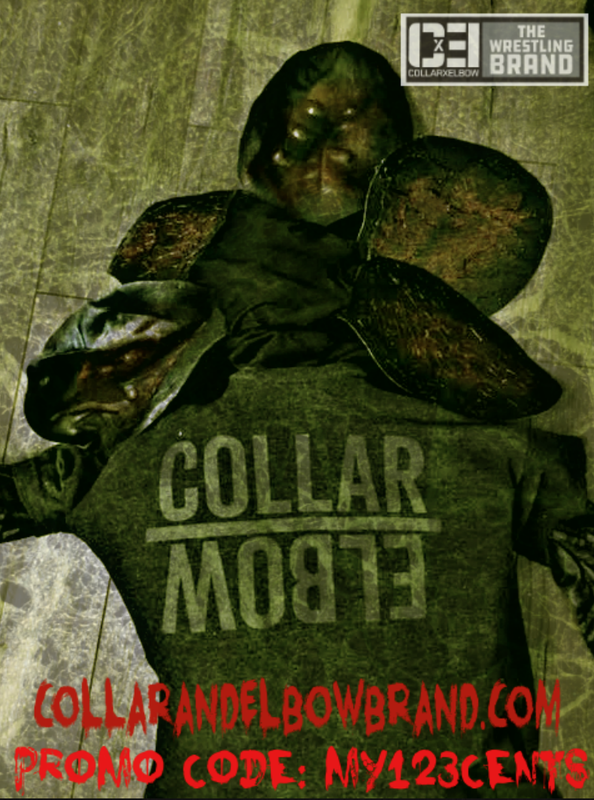 Bearer starts the segment off reminding fans of his open invitation to the mortuary. The Ultimate Warrior accepted the invite. Bearer unveiled a casket covered with the Warrior's trademark logo on it. As Warrior and Bearer argued, Undertaker appeared out of another nearby casket. Warrior was assaulted and eventually stuffed into his personalized casket. Vince McMahon on commentary is selling the attack in true McMahon fashion. 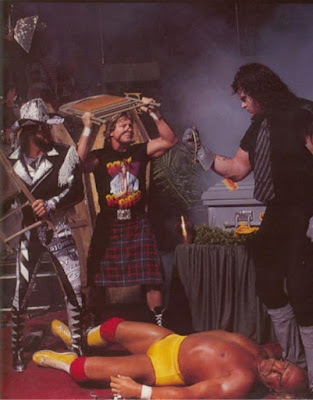 Officials tried in vain to get the casket open as McMahon, Roddy Piper and Randy Savage debated the fate of the Warrior. It took forever, but the casket finally got popped open and the Warrior was unconscious and the lining on the lid had been ripped to shreds. They actually showed CPR being performed and finally, Warrior came to again. This attack led to a series of matches between Undertaker and Ultimate Warrior, but the big payoff never really happened. You may remember Warrior fled WWF right after SummerSlam that year and by the time he returned at WrestleMania 8, Undertaker was a good guy. In my fantasy booking mind, I had Undertaker teaming with Sgt. Slaughter and Col. Mustafa against Hulk Hogan and Warrior in the main event, subbing Taker in for Gen. Adnan. Additional fun fact, according to Bruce Prichard, Warrior did not go when officials shopped for the coffin and Road Warrior Hawk was used as the stand-in for the purchase. Undertaker, Bearer and Jake "The Snake" Roberts had a partnership at one point. But that relationship soured when Jake tried to attack Savage and Elizabeth after a Saturday Night's Main Event. Shortly after that Jake called out Undertaker, locked the urn and Taker's hand inside a casket and then DDT'd Bearer. Jake used a chair on Undertaker until the Dead Man mustered the strength to drag the coffin behind him and chase the Snake away. The segment took us to WrestleMania 8 as I mentioned above, where Undertaker beat Roberts. This move solidified Undertaker as a babyface and Jake was soon gone from the WWF. Jake had been on the Funeral Parlor a handful of times before but this was the most memorable and set up the turn for both Bearer and Undertaker. Months after the Ultimate Warrior incident, WWF Champion Hulk Hogan was asked to be on the Funeral Parlor. He was preparing to defend the title against Undertaker at Survivor Series 1991. 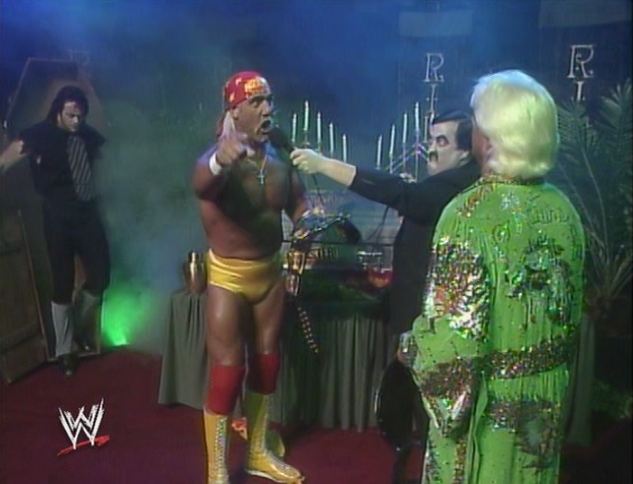 Before Hogan could even talk, Ric Flair arrived on the scene and the two engaged in a war of words. Just like he did to Warrior, Undertaker came out of a casket and nailed the champ from behind with an urn. He and Flair then put the boots to Hulkster. In a surprise move, two of Hogan's biggest rivals of all-time, Piper and Savage left commentary with chairs and chased off the heels. Hogan's trademark gold cross was ripped from his neck during the segment too. 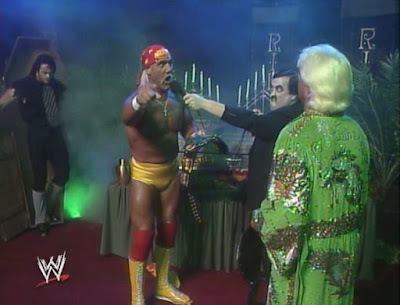 Days later, Flair would help Undertaker win his first WWF Championship as Hogan lost the "Gravest Challenge." Those are just a few of my favorite moments from the Funeral Parlor. Bearer did a great job with the segment and helped tell many memorable stories. What were your favorite memories of this feature?